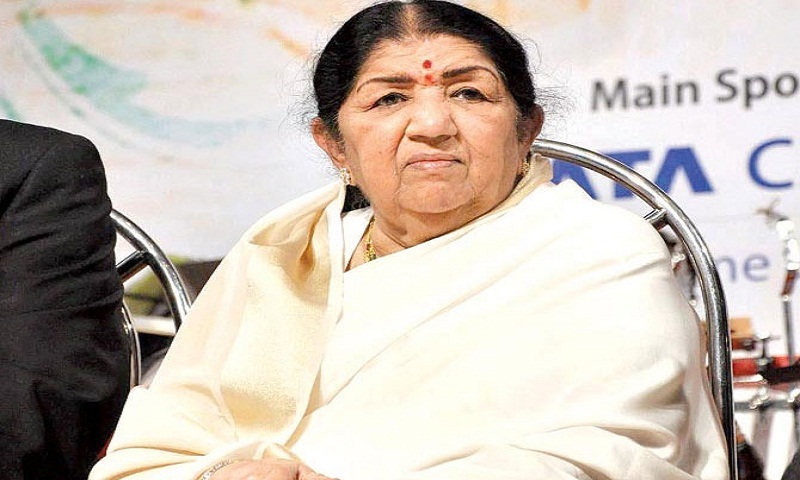 Legendary singer Lata Mangeshkar was on Saturday honoured with “Swara Mauli” title by spiritual guru Vidya Narsimha Bharati Swami at her residence in ‘Prabhu Kunj’. Her sister singer Asha Bhosle, Usha Mangeshkar and brother Hridaynath Mangeshkar were present at the occasion. Dressed in her signature white sari while receiving the honour, the “Paani Paani Re” famed singer told media that it was an honour for her for being considered for title. “And the fact that my name came to Jagatguru Shankaracharya’s mind for the honour and his coming to honour me personally makes me feel very blessed. It is not something that you receive every day and I am truly grateful to him for this blessing,” she said. Asha Bhosle said she takes pride to born as her sister. “She is one of the icons of our nation and no one can be like her. I am happy for her. I am also thankful for almighty to send me to a family of great singers. My brother and sisters are celebrated singers,” Bhosle added.